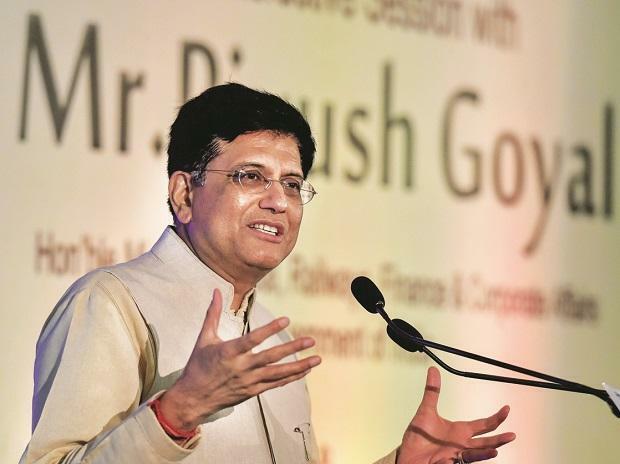 Railways and coal minister Piyush Goyal asked the Reserve Bank of India on Friday to introspect its role in pulling down the country’s projected economic growth for 2019-20 to 7.2 per cent from the earlier forecast of 7.4 per cent. The economy rose 7 per cent in 2018-19, the lowest growth in the five-year term of the Narendra Modi-led government. Goyal, who held the post of finance minister when Arun Jaitley was undergoing treatment, was speaking at the Confederation of Indian Industry’s annual session. “All stakeholders, including the RBI, should introspect on their respective roles (on low economic growth),” he said, adding the RBI could have taken certain steps differently over a period of time. He said every organisation should introspect how much contribution they had to the woes of the country today. "To my mind, double-digit (economic) growth is doable," he said. Shaktikanta Das had assumed the post of RBI governor in December after Urjit Patel resigned from the post. This was a time when the finance ministry was trying hard to persuade the central bank to cut the policy rate but the Mint Road seldom obliged it. Since Das took charge, the central bank cut rates by 50 basis points — 25 basis points each in two policies. At the same event, Arvind Panagariya, former NITI Aayog vice-chairman, said, "Given our level of inflation, personally, I would have done 50 basis points (cut), because, somehow, these 25 basis points cuts get lost and pass through happens with 50 basis points (reduction)." He said central banks like to be conservative either way — if they raise, they raise by 25 basis points, and if they cut, they cut by 25 basis points. On jobs, Goyal said the nature of employment was changing as more people were working on contractual basis. He said one should benchmark more on ‘livelihood creation’ compared to conventional jobs and warned that any doles would lead to under-reporting of income. Goyal also said capturing authentic data on jobs would become a challenge and hinder formalisation of economy. Suggesting that the country should rather look at its own policies than slowing down global trade, Panagariya said India's share was just 1.7 per cent in global merchandise trade. “If global trade was to rise to $20 trillion from $7 trillion over the years, but it rises to $18 trillion or $16 trillion, India can more than make up by raising its share to 3 per cent in global trade. But that would require conducive domestic policies,” he said. Panagariya said India had stopped opening up of the economy after 2007-08 and it is now even resorting to import substitution measures. "We are shooting on our foot," he said. Panagariya suggested India should explore the possibility of a free-trade agreement (FTA) with the US. "With the US being such an important strategic partner, one area where we can explore an FTA agreement is services." On over 100 economists and social scientists criticising the credibility of statistical data in the Modi regime, Panagariya said, "What is the source of the questioning of this credibility? IMF, World Bank and none of the international institutions in UN, whose systems we follow, are asking these questions. Those who are asking have to point out the specific problem." He said the ministry of statistics and programme implementation (Mospi) released a 40-page document about the methodology along with figures. "If there is a genuine problem with the methodology, the government would itself be happy to (respond to) questions on the quality of data," he said.